The second best tip for making the most of your trip to the island is to relax. Relaxation is not necessarily as easy as we think. Even though we try not to ruminate about the things we left undone back home, our jobs, our homes, our families, etc. our minds just go there and when our minds go there they are not in the present. That is just how we are programmed. As Dr. Amit Sood from the Mayo Clinic says in his book, Stress Free Living, “we have a network (of neurons) that produces ongoing dialog in our heads”. So for lack of anything else to think about we fret about things we currently (while on the island) can do nothing about. So here are some exercises you can do to help you relax. No, I am not recommending meditation, it’s virtually impossible to meditate on this beautiful little island; too many distractions. Instead I will give you some exercises in Mindfulness, the opposite of Meditation. I have stolen the talking points from Alfred James’, Pocket Mindfulness, found on the web, and adapted them for the island. Enjoy! 1. Mindful Awareness: Some people are quite surprised when they finally get out to the island for the first time and realize just how small it is. This could cause some anxiety. Take some time and think about where you are and how you got there. How the island got there, this little microcosm out in the Caribbean and be aware of your existence on it. 2. Mindful listening: There are lots of noises on the island, most notably the wind and the surf. For some, the noise can be very distracting, especially at night. They are different from what we hear at home, even if you brought music or ear plugs these noises can be very difficult to tune out. Don’t try to tune them out, embrace them. Close your eyes and concentrate on a particular noise, listen carefully to it, to the pattern, think about what is making the noise and how it came to be. This one takes practice I admit, but then I can go to sleep in an MRI. 3. Mindful immersion: This exercise cultivates contentment in the moment. There are a few things we do on the island that may constitute a chore or perhaps something slightly unpleasant. Constantly sweeping the sand out of your cabana, showering in what you had hope was warm water. Take whatever it is and create an entirely new experience out of it. Pay close attention to what you are doing make it into a game. 4. 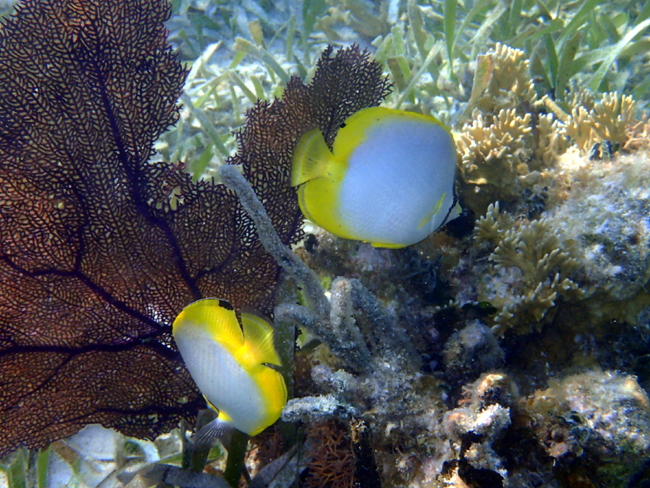 Mindful observation: This is a no-brainer, with all those beautiful patch reefs to visit every day! 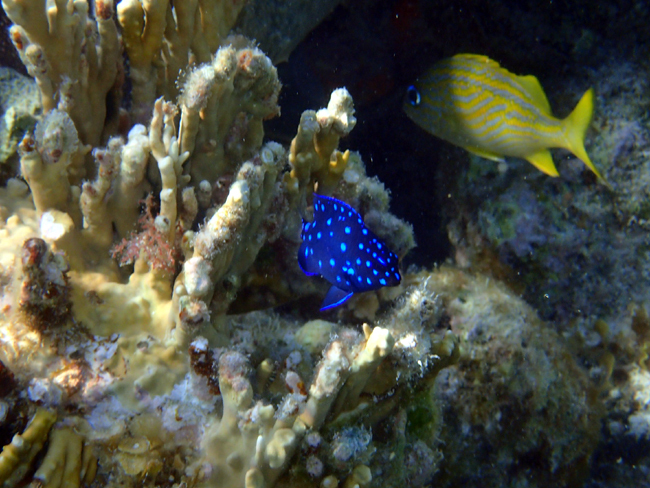 On at least one snorkel, find a small area on some coral and just focus on it for 4 or 5 minutes. Watch what is going on, watch the interaction, don’t worry about what kind of fish you see or what other are doing, just concentrate on your little patch of heaven. Wipe away all negative thoughts and ENJOY! 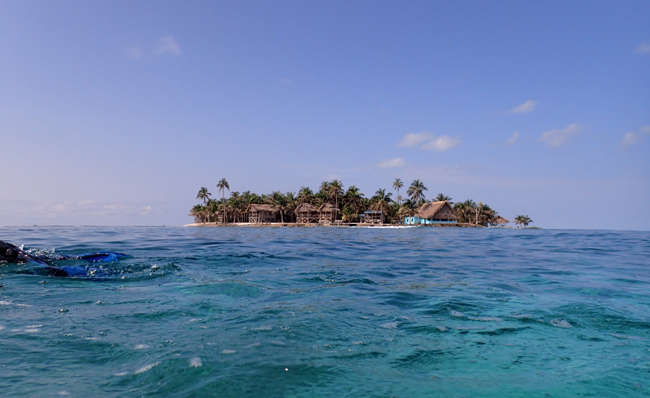 ← What’s so great about kayak snorkeling in Belize? #4 was my favorite part of our trip! Great blog, thank you for sharing!